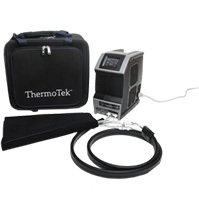 The ProThermo PT-9 therapy system is an electronically controlled thermal therapy and compression device; for the treatment of both chronic and post-operative pain and edema. 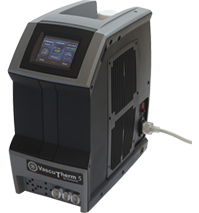 This versatile system is designed for use in hospitals, clinics and training rooms. 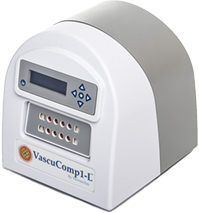 The VascuComp 1-L Therapy System provides pneumatic compression therapy to treat disorders associated with vascular or lymphatic insufficiency. The VascuComp 3-L Therapy System provides pneumatic compression therapy to treat disorders associated with vascular or lymphatic insufficiency. 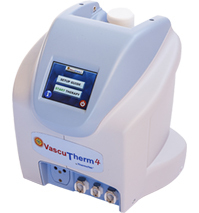 The VascuComp 1-AI Therapy System is designed to enhance arterial blood flow by providing targeted sequential gradient compression of the foot followed by the calf using a rapid inflation/deflation pressure pulse. 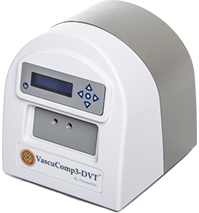 This compression cycle accelerates the venous velocity which results in improved arterial flow. 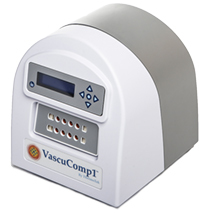 The VascuComp 3-DVT therapy system is a pneumatic compression system capable of providing intermittent sequential compression therapy for the prevention of DVT. 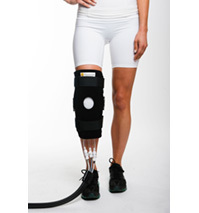 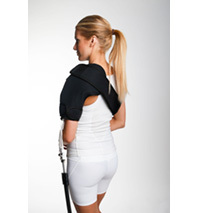 ThermoTek's BraceTek line provides physicians and patients with the total patient solution approach to lower extremity and spine stability.